As we know that MySQL store the data. Data is important for any organization. since there may be chance when our MySQL server crashes or the machine in which MySQL installed will crash. If it would happen we lost the data. So we must keep backup of our data regularly. 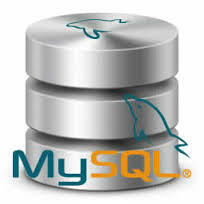 MySQL client provides different utility to backup the data and restore this backup data to new MySQL server. There are different technique and modes for creating and restoring the backup. we are not going to see all techniques this time. Here we are using mysqldump client utility that is provided by MySQL to create and restore the data. The mysqlump utility is used for creating logical-backup (means the SQL statement that we used to create the database and table like insert, create) that necessary SQL statements that is used to restore the database again. These are the three ways given above to take backup of MySQL server. In Case 1 we can take the backup of data base as a set of particular tables, means we can take backup of particular tables. In Case 2 we can take the complete backup of one or more database. In Case 3 we can take the complete backup of all database in the MySQL server. Now we take an example to understand all the above syntax for taking data base backup. In this section I will tell you how to restore backup data that we have created using mysqldump client. Here we are consider some real-time scenario to store the data.